John Marshall Law School – L.L.M. San Diego State University – B.A. 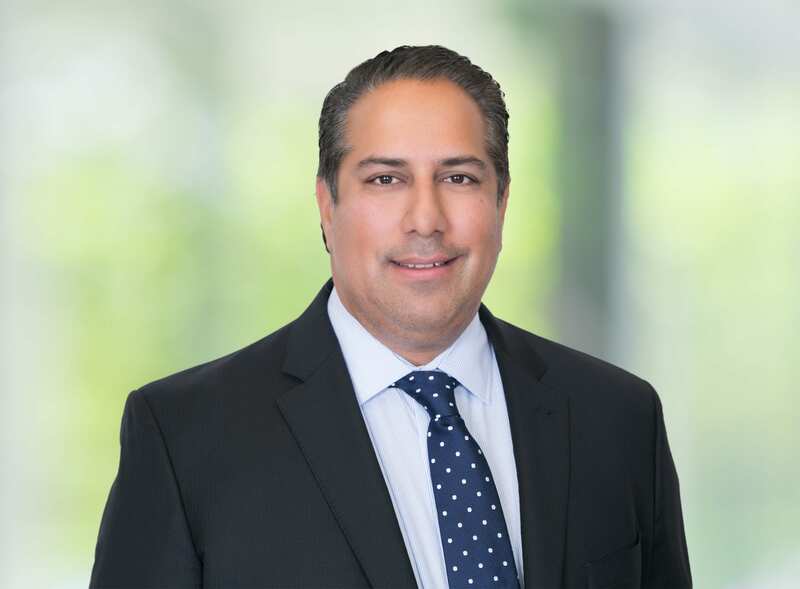 Vik Nagpal is the managing partner of Bremer Whyte Brown & O’Meara LLP’s San Diego office, as well as directing the firm’s business development. He has practiced law in both Northern and Southern California since 2000. Mr. Nagpal is admitted to practice law before all State Court in California, as well as in the Central and Southern District Federal Courts. Mr. Nagpal has extensive experience in handling all general liability matters to trial and arbitration, including trucking and transportation, commercial auto, catastrophic injuries, wrongful death, and traumatic brain injury claims. His practice also includes the defense of construction litigation, and environmental and habitability claims relating to asbestos, toxic torts, infestation, and hazardous waste. In addition, he concentrates his practice in the area of business litigation. Mr. Nagpal has also been successful in obtaining complete defense verdicts through trial in construction defect and toxic tort matters. Mr. Nagpal graduated from San Diego State University with a Bachelor of Arts degree in Political Science and a Minor in Psychology. Mr. Nagpal received his law degree from the Thomas Jefferson School of Law in San Diego in 1999, receiving a Trustee’s Scholarship for Academic Achievement. Additionally, Mr. Nagpal clerked at the San Diego Superior Court for the Honorable Ronald Prager. Mr. Nagpal thereafter earned his Masters of Law in Real Estate from the John Marshall Law School in Chicago, Illinois, in 2001. Between 2001-2002, Mr. Nagpal acted as legal counsel for CB/Richard Ellis in Sacramento, handling site acquisitions for commercial properties and drafting commercial leases for anchor tenants throughout the Western United States. Mr. Nagpal is approved by the Department of Insurance and frequently provides seminars and training to various insurance companies nationwide on topics related to Construction Defects, Premises Liability, Catastrophic Claims, Products Liability, as well as the California Fair Claims Act. He has also been a featured speaker at the California Combined Claims Seminar and has presented for CLM.